This final post in my series has been a while coming, so much else seems to get in the way. 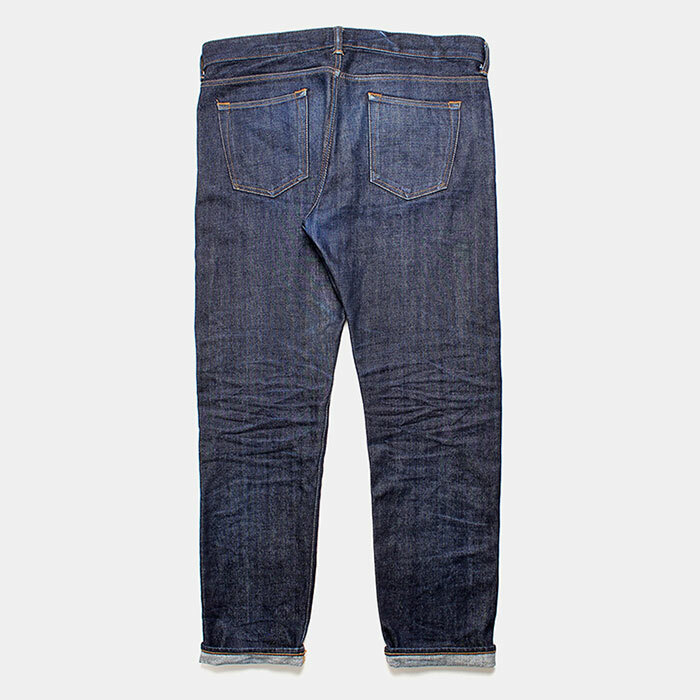 Anyway, I’ve been wearing in a pair of Edwin ED 80 Selvedge Denim Jeans since their brand new, stiff raw state and seeing how the wearing process gradually makes the jeans ‘mine’. Below is a shot of the 3 stages of the trial from left to right, raw to now washed for the first time. Since the last post my jeans were taking on a life of their own and a bit of a faint whiff of Eau De Man as I’ve been wearing them on occasion but not washing them at all. It was time to get them at least rinsed out to stop my paranoia of a smell that might be following me around. I decided to give some of the Mr Black Denim Wash a go and with a second pair of Edwins jeans I’ve had from a while back I decided to rinse them both using different methods. First off I put a pair in the washing machine, selected a 30 deg, delicate wash as instructed by the back on the bottle. The second pair I tried with a luke warm basin hand wash and just poured some of the Mr Black wash in with the water and denim. Turning them inside out on both pairs and either letting the machine or my hands do the gentle turning. After the washes both pairs were just hung out on the line to air dry. Both ways of washing seemed to bring similar results. The Mr Black removes all of the odour that was there and replaces it with a nice simple scent which was way better. Also I was pleased to see that the accents, marks and crumples I’d made myself by just wearing the jeans were enhanced without losing too much indigo from the jeans themselves. I’ve now continued to wear the jeans without a second wash and will hold that off for another few months I think to see how the look progresses.